Are you the kind of person who’s a fan of all the big guns, flares, guns, tankers, robots, guns, mechs and a lot of intrigues? Did I also mention guns? Then you’re probably into all kinds of military anime series. The uniforms and the drills, the complicated characters and surrealistic events, the supernatural cataclysms and the sometimes gratuitous love stories all make for one sumptuous binge-watching experience. 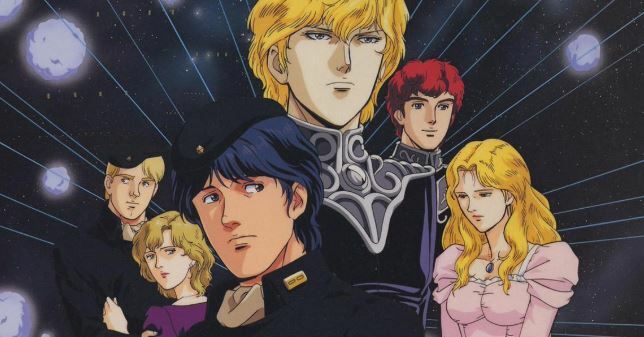 If all of these things I’ve just said seem really interesting to you, then check out our list of the top 20 military anime series and see if any of them are ones you’ve seen before. Also, get ready for a lot of heroism and space odysseys, because I surely wasn’t prepared! 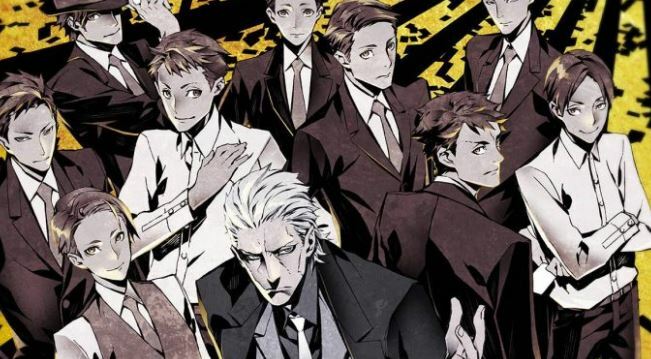 Joker Game takes place in the era of World War II Japan. The secret organization named ‘D Agency’ trains its recruits to become crucial parts of war for Japan. Their job? Infiltrating other countries and resistance groups and collecting information that could just give Japan the edge in the war. Joker Game is a somewhat-anthology collection of episodes that prove that the strongest weapon in any war is information. As military anime, Joker Game didn’t make the dent it was expected to. This is exacerbated by the phenomenal success of the manga and novel series. However, the show manages to stand out as one of the more innovative of its kind. Check it out for its episodic narrative, spanning Hawaii to London, and behind-the-scenes take on war espionage. 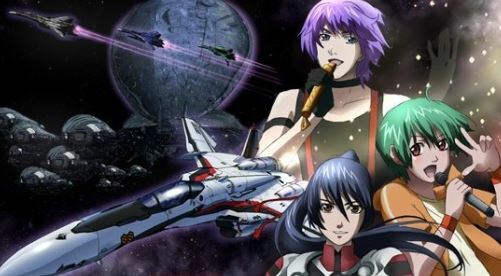 Macross F or Macross Frontier revolves around the Macross Frontier in the year 2059. It concerns Alto Saotome’s recruitment by the Skull Platoon to defend humanity from the new threat of the bug-like Vajra. Along the way, the sequel to the popular Macross series introduces a host of reminiscent but enjoyable new characters. 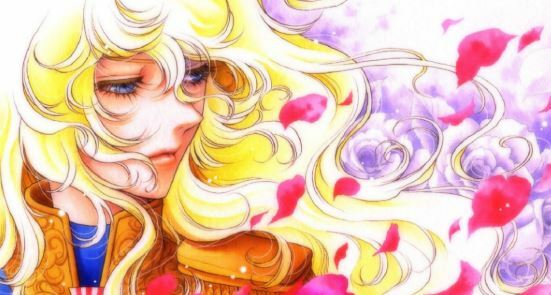 Like famed pop singer Sheryl Nome and rising star Ranka Lee who possess their own complicated histories and abilities. Together, the three are brought into the forefront of humanity’s battle for survival against the unknown forces of deep space. The Frontier series follows many similar plotlines from the earlier series while adding more political intrigue and space drama into the mix. Particularly in the relationship between Alto and Ranka. The military troops battle it out in this intense anime series. Although, it can be slightly confusing if someone is unfamiliar with the previous Macross versions. This anime is set in the Western-European like Royal Empire, the first of many European influenced shows on this list. A ceasefire has been called on the decade long war between the Royal Empire and the Republic of Frost. However, three years down the line, the Empire is recovering badly as people starve, diseases spread and soldiers become criminals. To boost morale and initiate speedier relief efforts, the Empire creates the Imperial Army State Section III, dubbed ‘Pumpkin Scissors’. This anime takes literal military cues of the conditions that prevailed pre-World War II in the 1920s and 30s. The military anime series doesn’t take much time to flesh out its characters as well as some of the others. However, solid writing and scenarios make it a more interesting watch than you’d think. Intrigue builds with plotlines concerning the amount of contention the Pumpkin Scissors unit face while being considered tools of propaganda. Plus, the juxtaposition of characters like Alice L. Malvin and Randel Oland distract from the somewhat stretched plot. The anime sees the characters fight to retain their homes and their peace. As far as military anime series go, this one does the good of staying true to its time. It wisely doesn’t include too much technology in the mix, limiting it to standard artillery and military fare. The characters are…colourful and the angle of romance does add a refreshing breather from the general feeling of war. Although maybe they needed to exercise a bit more creativity before they decided to name the setting continent ‘Europa’. In stark contrast to the Valkyrian chronicles is Full Metal Panic! A series replete with cutting edge technology and high-grade military arsenal, a sci-fi dystopian future if you will. 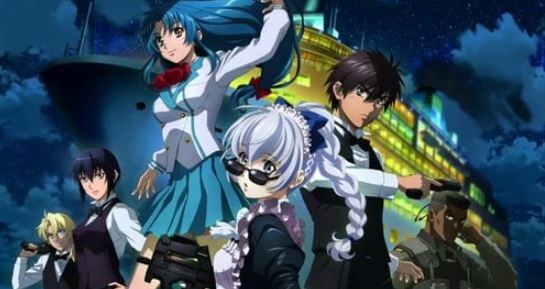 The series revolves around Sousuke Sagara, a member of the private military organization Mithril. He’s sent to protect high-school student Kaname Chidori, a girl who is eligible to be a candidate for ‘whispered’. The ‘whispered’ are individuals possessing incredible knowledge and ability that serves well on the battlefield. Having been raised on the field himself, Sousuke finds himself way out of his depth in this assignment: being told to impersonate a high-school student and join Kaname’s class so she doesn’t fall into the wrong hands. Part of the popular Full Metal franchise, this military anime manages to inject a little humor into the scenario. This is something which a lot of others of its kind don’t possess, especially with their terse and bleak backgrounds. The clear contrast and dynamic between the uncomfortably stoic Sousuke and the hot-headed flighty Kaname keep the viewers coming back for more. It could be for the romantic prospect of their convoluted relationship. Or maybe just to see if he succeeds in his mission of protecting her from advancing enemy forces. If you live for the madness, this one’s for you! 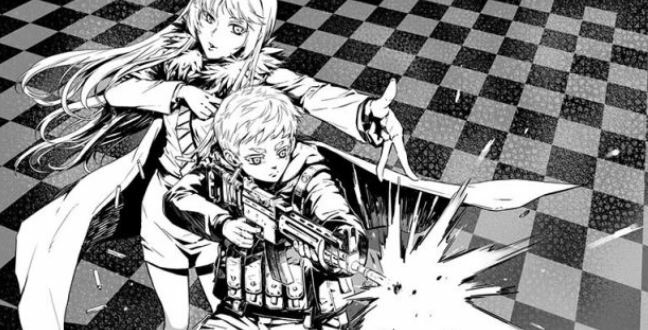 The military anime follows this ragtag team as it constantly sidesteps the law and the ever-relentless CIA in their job of dealing arms to militaries, private armies, and militia. There’s a pattern developing here of contradicting characters being thrown together as leads in Jonah and Koko. The truly intriguing part of this show is the duality of the character of Koko. A character who simultaneously encourages war as much as she wants to give world peace a chance. While the show may be too dark for some, it has its lighter moments. Plus, it’s a lot more adept at handling complex themes than a lot of other shows on this list. 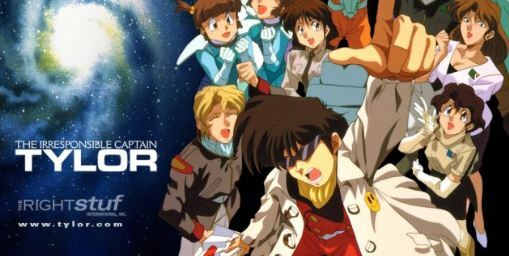 Musekinin Kanchou Tylor or The Irresponsible Captain Tylor is one show that gets perfectly summed up in a name. Tylor wandered into the military with the intention of ending up with a sweet pension check for not doing much. However, he somehow saves an admiral and gets instated as the captain of a decrepit space cruiser, the Soyokaze, in a stroke of good-bad luck. As fate would, of course, have it, Tylor gets thrown into the forefront of the fight between the United Planets Space Force and the Raalgon Empire. This military anime is the first one in this list to be classified as an out-and-out comedic show. In fact, a lot of viewers term it to be a ‘humorous space opera’. The main points of comic relief come from Tylor’s clear incompetence and his begrudging crew. Either they get rid of him or learn to work under him to stand any chance of defeating the Raalgons. Is Tylor an idiot or a genius? A klutz or a savior? That’s for the viewer to decide! It’s the Universal Century of 0079 and the Earth Federation is trying to locate the surviving members of the Zeon forces after having defeated them in war. Shiro Amada, leader of the 08th MS Team, joins the Federation troops trying to find and eliminate any Zeon stragglers. However, things get more than a little complicated when he runs into Aina Sahalin, a star-crossed lover, previous rescue mission compatriot and star pilot of the Zeon forces. At the risk of treason, Shiro and Aina must decide what matters more – each other or their allegiances? This particular military anime series comes in guns, action and, of course, mechs blazing. If anything, this instead of Tylor would’ve made for a great space opera due to its ‘love story of leaders of dueling clans’ angle, very space Romeo and Juliet. It’s definitely not the strongest Gundam outing (more on that later) but it’s certainly solid enough to hold its own. This show revolves around two central characters, the first being the Chief of the French Royal Guard named Oscar. Except, Oscar is a woman whose father raised her like a man because he never wanted a daughter. Oscar is principled and noble doesn’t stop in her aim to do as much good as she can for France. Even if it means leaving a few broken hearts along her way. Which brings us to our second lead, the Queen of France, Marie Antoinette. Antoinette is beautiful and knows it. However, she’s confined by the responsibilities of royalties and doesn’t get to live out her own dreams and fantasies. This series stands out for weaving more of an intricate story with its characters rather than sticking solely to the military aspect. The animation adds a nice touch by giving everything a very regal and feminine appeal. The gender ambiguity angle that’s played up with Oscar is handled pretty well and makes it even groundbreaking. Plus, mixing in a little history in there saves it as well. Just like Tylor, this show has also been dubbed a ‘space opera’. 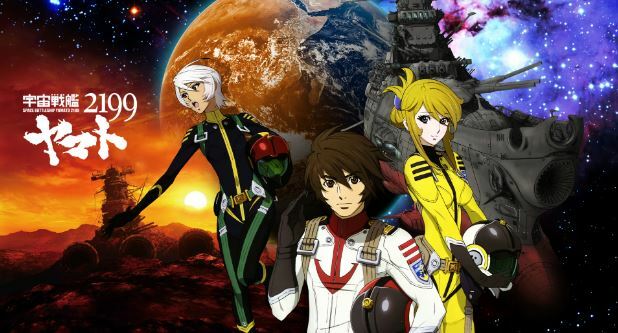 Viewers will often end up experiencing something akin to a ‘lost in space’ vibe from this military anime series. However, of all the foes mentioned so far, the Gamilas do seem like they could be a legitimate threat. Plus, the characters are made and portrayed convincingly enough. To the point that we probably believe that somewhere in deep space, a spaceship is flying about looking for Iscandar. Kenpuu Denki Berserk mainly centers around the character of Guts, born from the corpse of his mother, who becomes a mercenary because he doesn’t know anything else he could possibly do. He spends his life on the battlefield, fighting because he doesn’t know any better. He is then recruited by the Band of the Hawk under the tutelage of their leader, Griffith. The show then chronicles his journey with the troop as he tries to make his way up the ranks and combines greed for power with the desperation to discover his true purpose in life. Kenpuu Denki Berserk is more of a primitive take on military anime. 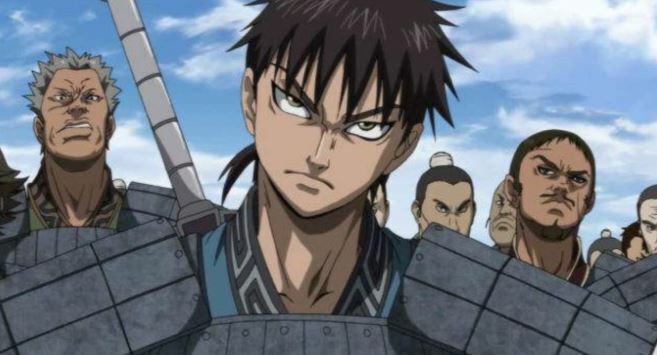 However, it is exceedingly popular, particularly the lead character of Guts. You can tell you’ve made it when you become a fighting contestant on the YouTube show Death Battle. 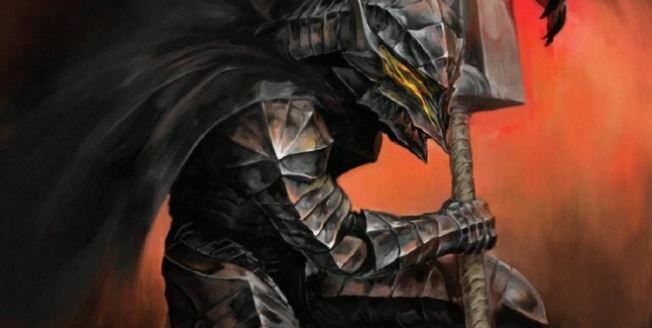 Guts is one of the most brutal and overpowered protagonists in anime, but that doesn’t make him a bad guy. Just very morally ambiguous. For those with a little aversion to heavy violence, maybe give this one a miss, although it is much tamer than the actual print version. GATE is about…well, a gate. A mysterious portal opens up and unleashes supernatural creatures and medieval war heroes who start attacking everything in their path. The Japan Self-Defense Forces (JSDF) finally manage to stop them after a brutal recon. One of those members of the JSDF is Youji Itami, a typical otaku who is then entrusted with making his way to the other side of the gate. His task is to try to bring what’s there on the side of the Japanese forces. Failing would mean risking engulfing both worlds in a bloody war that could eradicate both sides. This show does tend to get a little bleaker in its approach than others. It takes some of the most commonly used elements in some of the earlier military anime on this list but manages to add elements of sci-fi to make it a perfect mash-up. Youji is an interesting character that makes you want to root for him no matter what. Sometimes, though, you can’t help but feel like the show tries to force you to go ‘Go Youji!’ constantly. 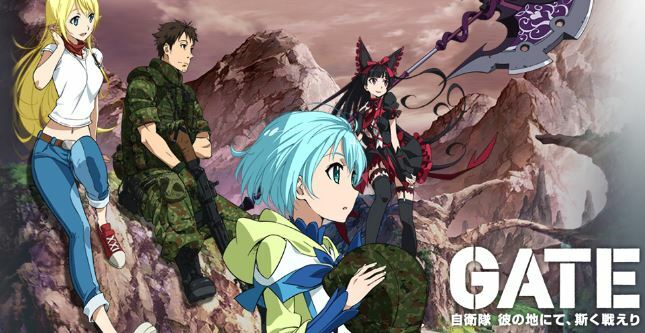 GATE is exceedingly strong in concept but not perfect in execution, while still being pretty darn good. 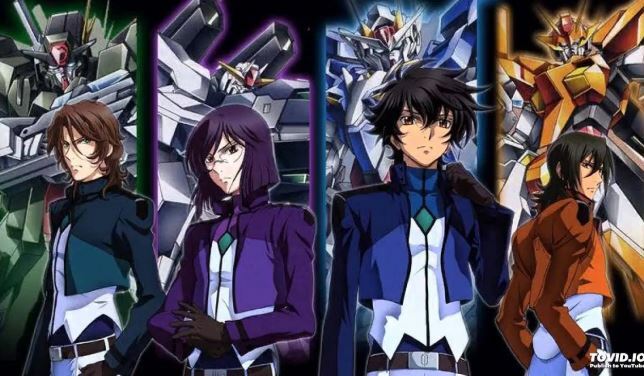 The eleventh series in the Gundam franchise, Gundam 00 features the struggle and fight between the world’s most powerful factions. These powers assert their dominance over the only prevalent energy source of the world: solar power. The depletion of fossil fuels has thrown the world into turmoil and war has broken out all over. Cue the entry of the group known as ‘Celestial Being’. A virtually unknown paramilitary organization that employs super mech suits known as Gundams to eradicate warfare and bring peace to the world once again. This is the second Gundam military anime series to feature on this list. And it may just be one of the more popular iterations. The characters, especially, have become pretty well-known and are a lot more relatable than most on this list just because they can quite clearly be flawed. It’s another futuristic battle setting but with a different intention. However, sometimes, there’s only so far that the name of a popular and iconic anime series can get you. Sound familiar? 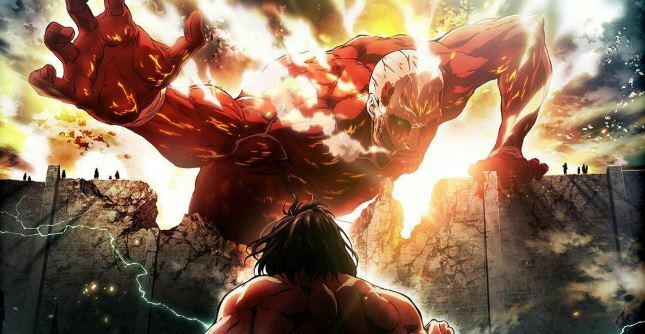 Maybe the show’s English name will ring a bell, Attack on Titan. By and large, this particular military anime is the most popular, especially on an international scale. Attack on Titan has become a veritable franchise. It’s a series that pushes the boundaries for how influential story and character development can be for an anime series. The only thing that sometimes holds it back is its decidedly bleak tone and gory violence. You’re not going to fangirl much if you’re looking for the same comedy you’d see in something like Sailor Moon. Attack on Titan is a very serious show, and it takes one viewing to confirm that. Kingdom is a show about a boy’s attempts to become a part of history and his journey towards doing so. Yes, this is the first military anime series on this list to result in character with a slight Ash Ketchum complex, quite surprising though that he’s the first one. This is a show about honor and war in an exceedingly politically fragmented climate that isn’t afraid to touch upon more relevant themes from time to time. The dystopian future (I’m sensing a trend here) is ravaged by supernatural creatures and monsters. The organization Hellsing is responsible for exterminating these creatures in order to provide for a safer, nightmare-free world. Leading the Hellsing is Integra Fairbrook, who has no qualms when it comes to deploying her ultimate weapon, Alucard. Alucard the vampire is stronger than all of Hellsing’s military forces combined. He stops at nothing to battle the undead and the monstrous, and that sometimes includes anyone that opposes Hellsing, whether good or bad. Hellsing Ultimate is possibly the most intriguing military anime on this list for its interesting subject matter and highly morally ambiguous characters. Particularly Alucard, someone who seems to be on the side we want him to be on but who is dangerous enough that he could switch whenever he wanted to. This leaves the viewer, having invested himself with Hellsing, in a constant state of unease. Alucard himself has become a popular character and probable stuff of nightmares. This show should take all the credit for it. It’s the not so far away dystopian future of 2030 and cybernetics has come a long way in Japan. People can now successfully infuse their bodies with those of cyborgs, but that means so can criminals. Very advanced criminals, at that. Set in the fictional Japanese city of Niihama, the series revolves around the crime-solving Public Security Section 9, a special task-force made up of ex-police officers and detectives. 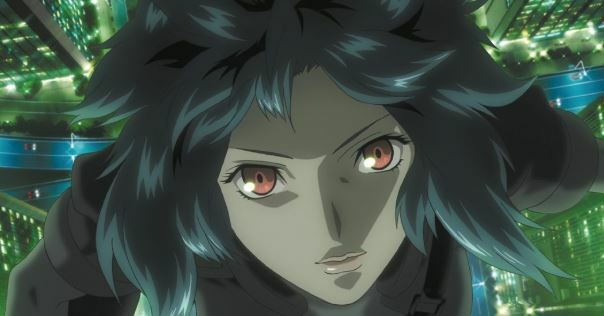 Ghost in the Shell, as a franchise, did get a boost in popularity when the Scarlet Johansson movie debuted in 2018. However, this particular iteration of the popular military anime might just be its finest outing. The show creates a technologically driven world that gets it a lot of critical attention and adds to its ingenuity and complexity. Its music helps push it along even further. 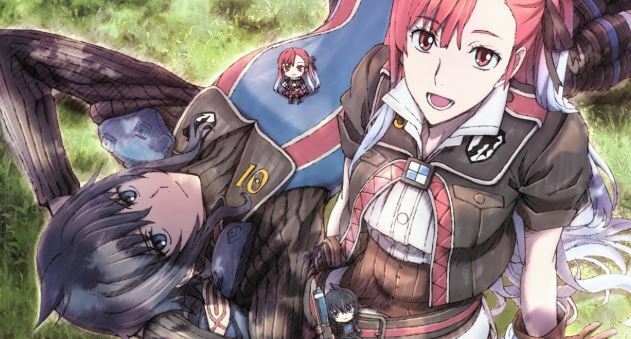 Its characters, as a unit, are quite interesting and enjoyable enough to support, although they sometimes falter when looked at individually. Lelouch Lamperouge, a Britannian student, lives in Japan, now known as Area 11, which resides under the control of the Holy Britannian Empire. As the Area 11 resistance rebel forces fight back the power, a mysterious girl named C.C. saves Lelouch from a military onslaught and gives him the power of Geass or ‘Power of Kings’. This power grants Lelouch the ability to have someone obey him unconditionally. He decides to use it to end the war and get his revenge on his father, the emperor of the Britannian Empire. On the way, he must confront his own friends and family, the tragic incidents in his family and trying to fully understand how his powers work in the first place. The show became extremely popular in Japan and developed a cult following around the world. 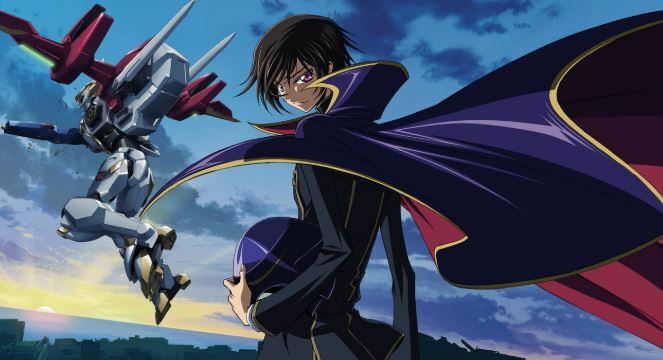 Balancing the central conflicts presented in the forefront of the show with that between the characters and Lelouch’s own internal turmoil fetches the show critical acclaim. The show often poses many philosophical and moral questions about war and power and, much deeper than typical TV military anime. It’s a series about the futility of war and the absolute destruction that too much power can cause. And there’s no better figured for it than Lelouch Lamperouge. This military anime series is clearly one of the smartest of the lot. One could compare it to a space odyssey, given the exceedingly large number of characters that pop in and out. The passage of time is distorted enough that the viewer loses track of how much time passes in the story as he gets pulled into it. The series often touches upon the need for this war to happen in the first place. And Reinhard and Yang are of the utmost gentlemanly conduct, treating with each other with complete respect in one second and then furiously battling each other the next. That’s a nice set of contradictions if I do say so myself. 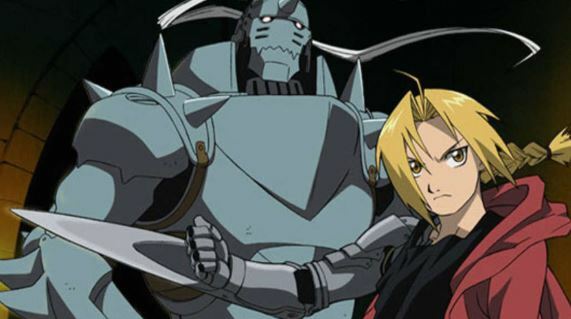 Fullmetal Alchemist: Brotherhood has been subject to consistent critical acclaim ever since its release. This is generally for its deep themes, and exploration into more mythical and scientific mix-and-match and its thoroughly relatable and memorable characters. The show consistently poses the overarching question – is humanity simply about being human on the outside? Nothing’s perfect, but this comes pretty darn close! All of this combined make it our number one pick for the best military anime series. With this, we have reached the end of the best military anime article. Also check out our Best Horror Anime, Best Tragically Sad Anime and Best Sports Anime lists to find out more anime that you can enjoy.